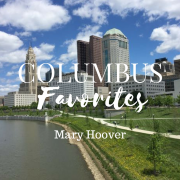 Columbus Mom Bloggers Archives | What Should We Do Today? 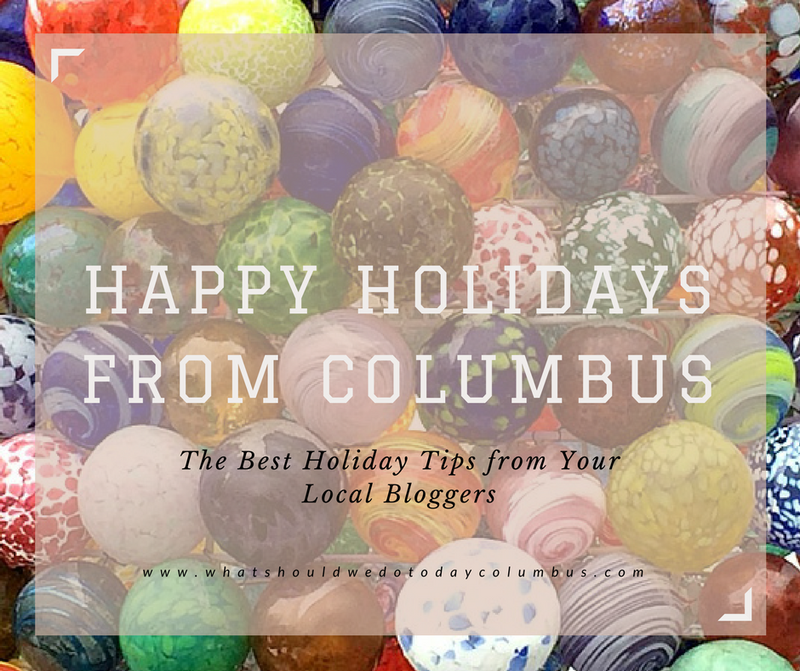 I’ve joined together with a bunch of great Columbus bloggers to share our best tips for the holidays!  Whether it’s healthy eating, gift giving, local events, family traditions, crafts or decorating, you’ll find some great ideas here! 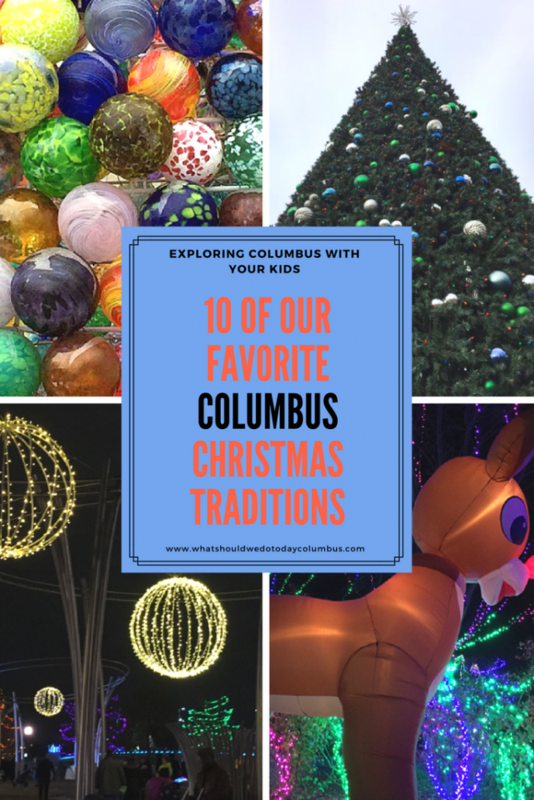 I shared 10 of Our Favorite Christmas Traditions around Columbus! 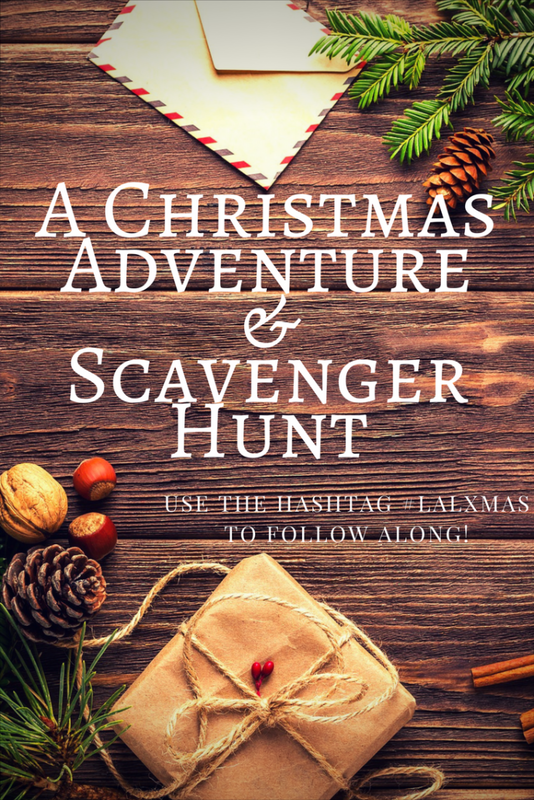 We are looking forward to doing each of these things during the upcoming holiday season! 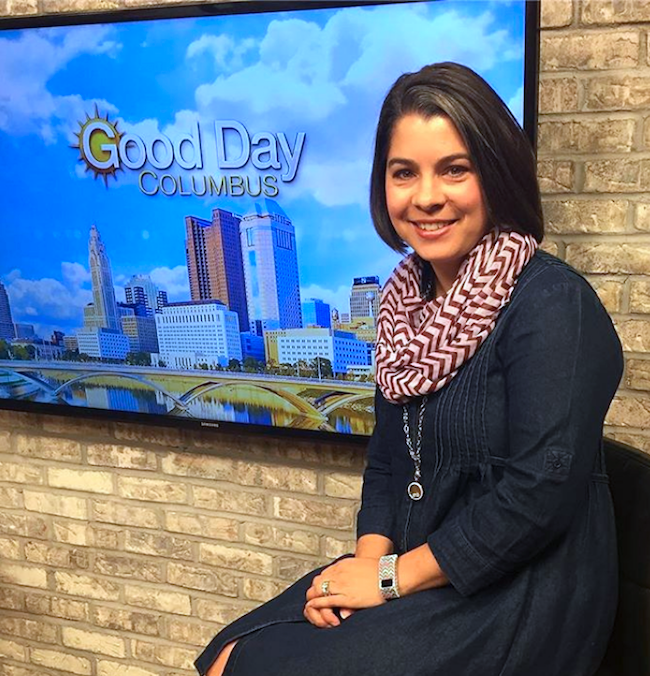 Malini from Lakes and Lattes, shares Christmas in Columbus: A Family Adventure which includes 3 challenges to complete with your family including a scavenger hunt! 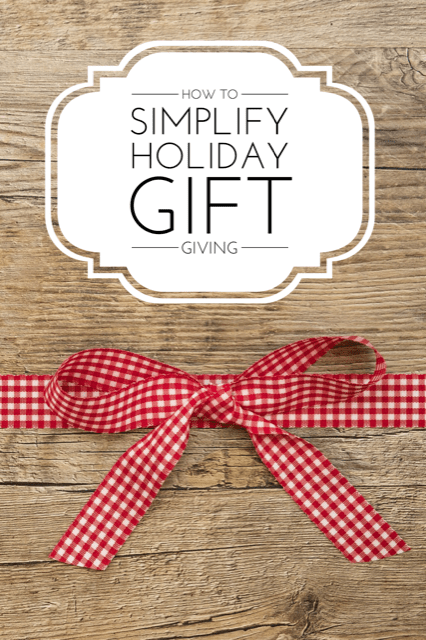 Shannon from My Life in the Blink shares How to Simplify Holiday Gift Giving with 5 simple guidelines! 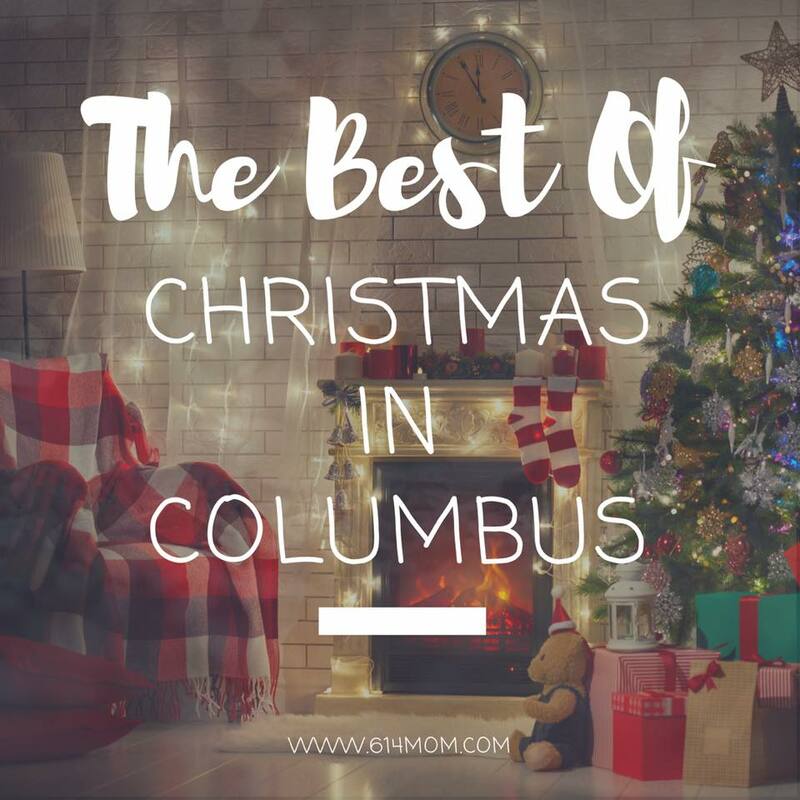 The The Best of Christmas in Columbus from Eryn at 614 Mom includes the best holiday events around town! 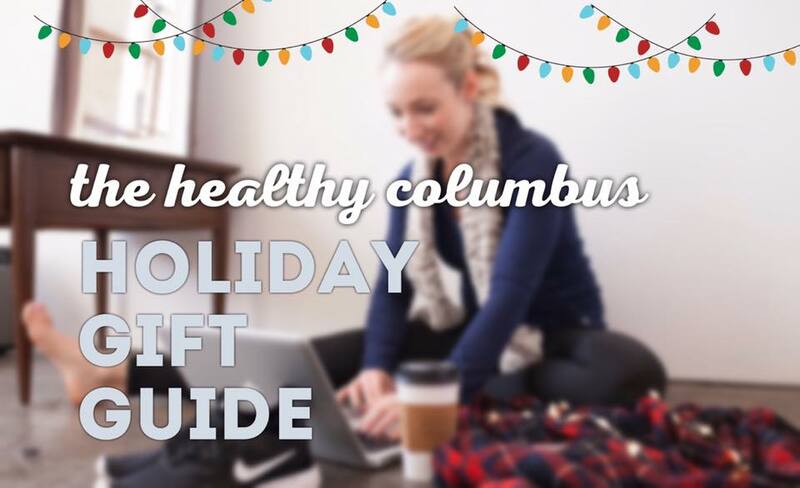 Get some great ideas in Lindsay’s Healthy Columbus Holiday Gift Guide on her blog Find Where You Fit! 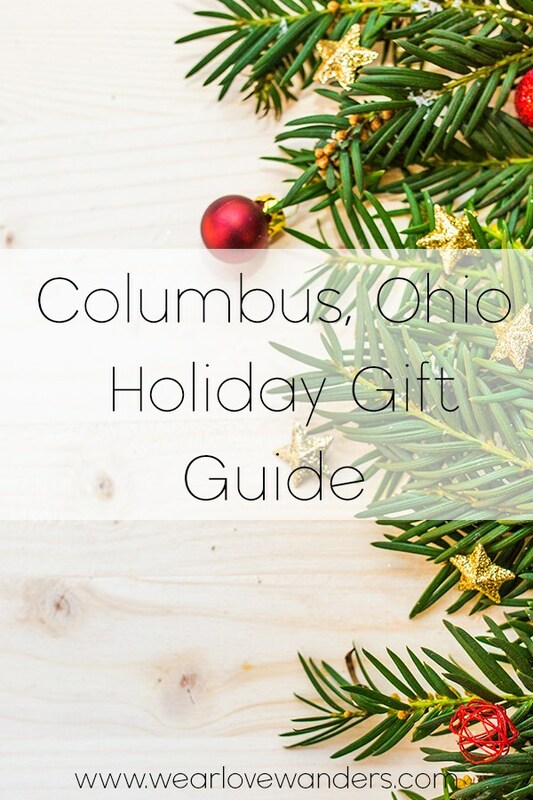 Kim from Wear Love Wanders is sharing a Columbus focused Holiday Gift Guide that features some beautiful AND yummy ideas for holiday gifts from local artists and businesses! 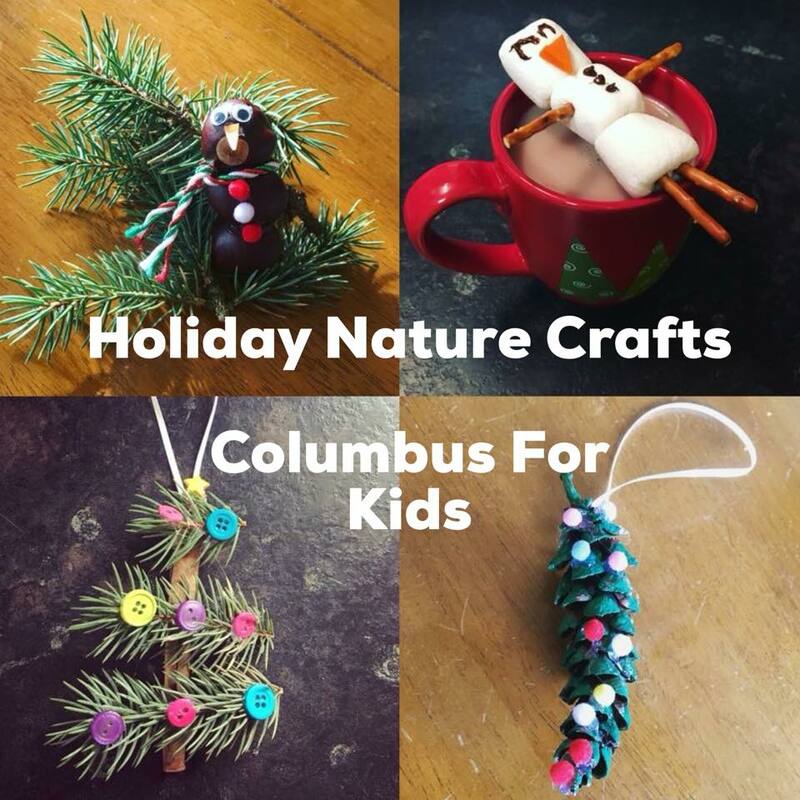 Ashley from Columbus For Kids has shared ideas for 3 Holiday Nature Crafts to keep the kiddos busy this time of year! In From Walmart to Wow: How to Decorate Your Artificial Christmas Tree, Tara from Pennies From Heaven Home shares some great tips for decorating an artificial tree! 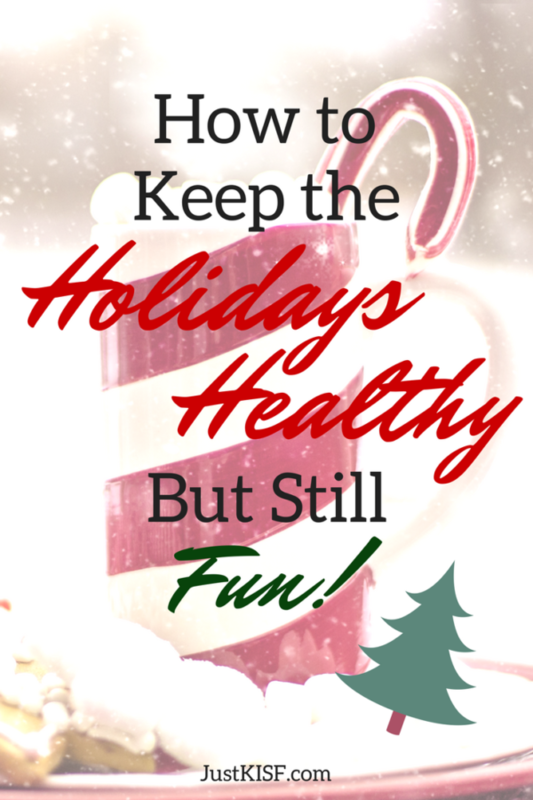 In How to Keep the Holidays Healthy but Still Fun! 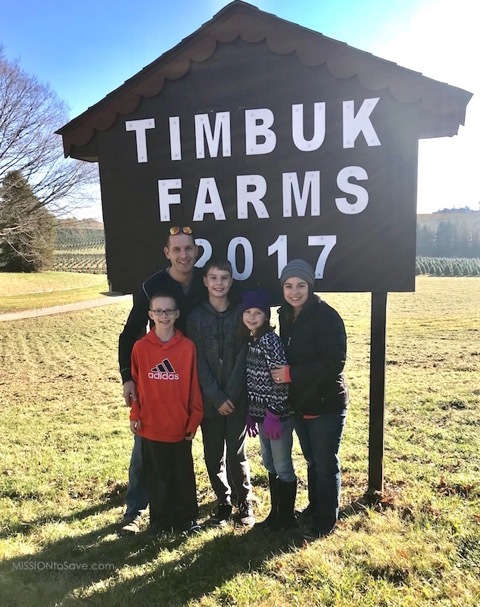 Kathleen from Just Keep it Simple Fitness shares some great tips for keeping it healthy during the holidays (including not being TOO hard on yourself)! Mary from Mission to Save says it’s not too early (or too late) to get a game plan for your holiday shopping. 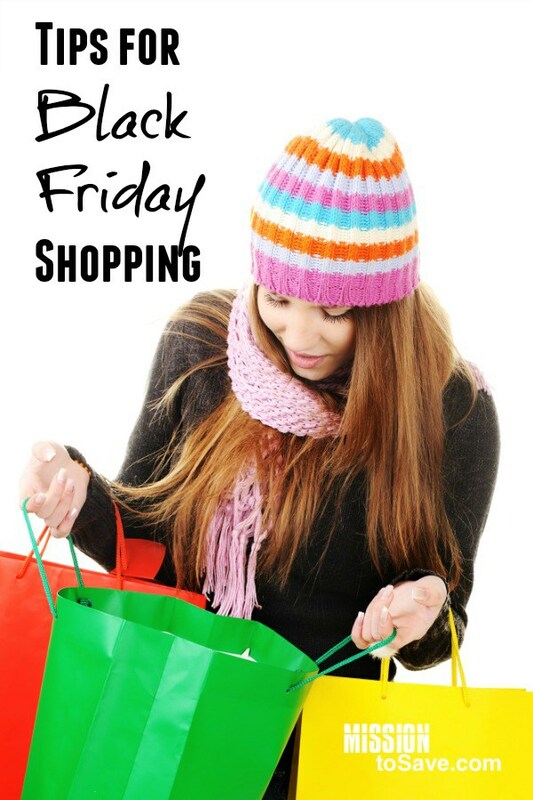 Check out her Tips for Black Friday and Holiday Shopping. 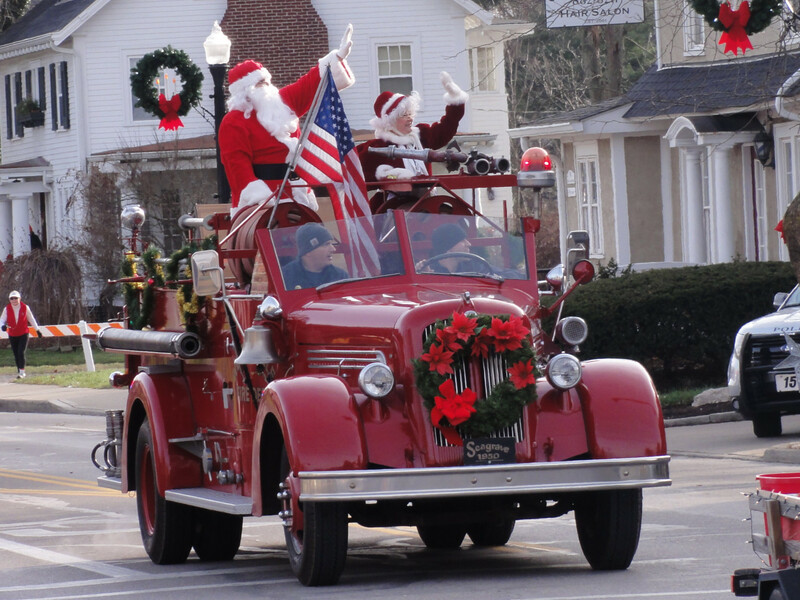 Emily from Let’s Play the Speech and Language Way shares ways to encourage language development in your little ones throughout the holiday season with Santa Claus is Coming to Town! 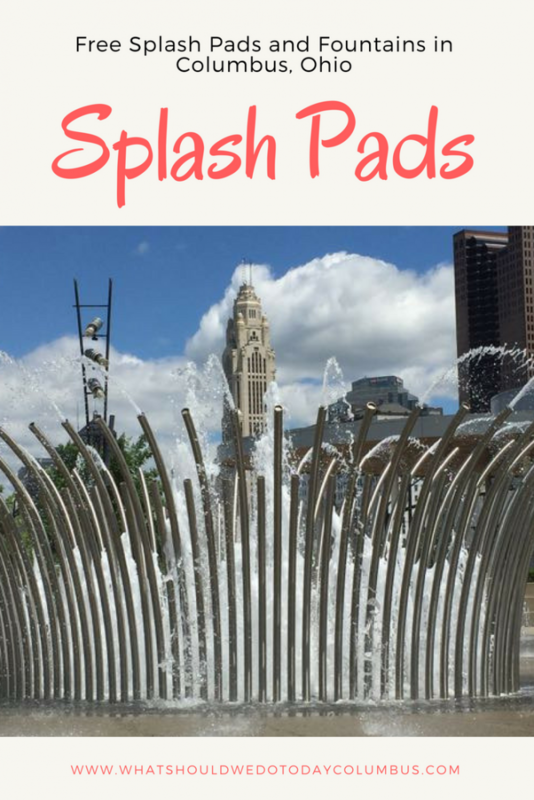 You guys, a trip to the splash pad feels like a major outing! 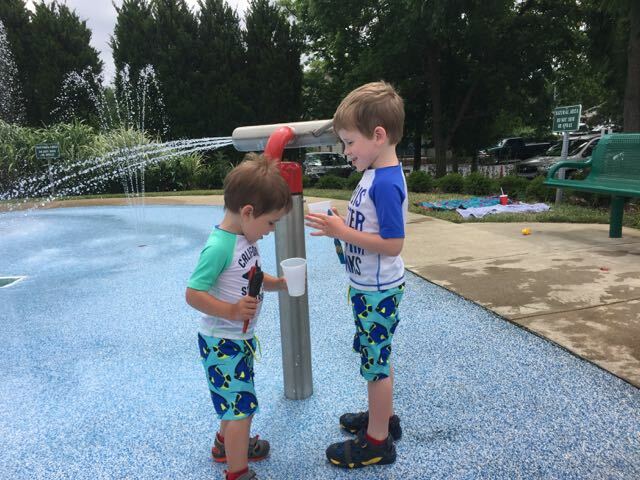 We explored several splash pads last summer and have begun the tour this summer as well. This is the first summer my boys have actually enjoyed getting wet! 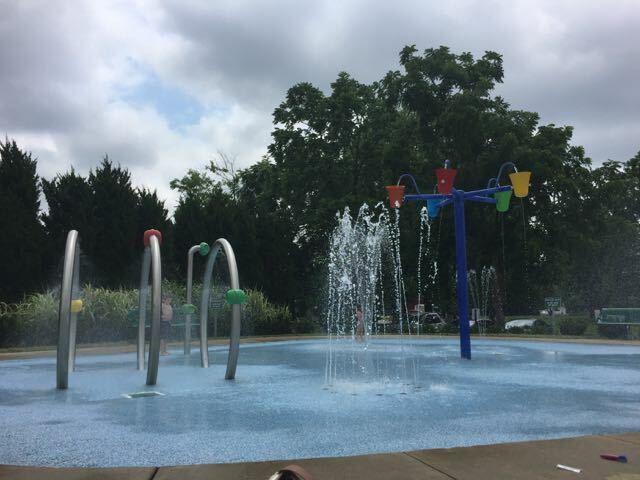 I shared in my post about the awesome splash pad/park combo in Delaware that I didn’t even pack any extra clothes or swim suits for the trip because they normally hate to be splashed in the face! They actually ventured closer to the fountains than I expected that day! 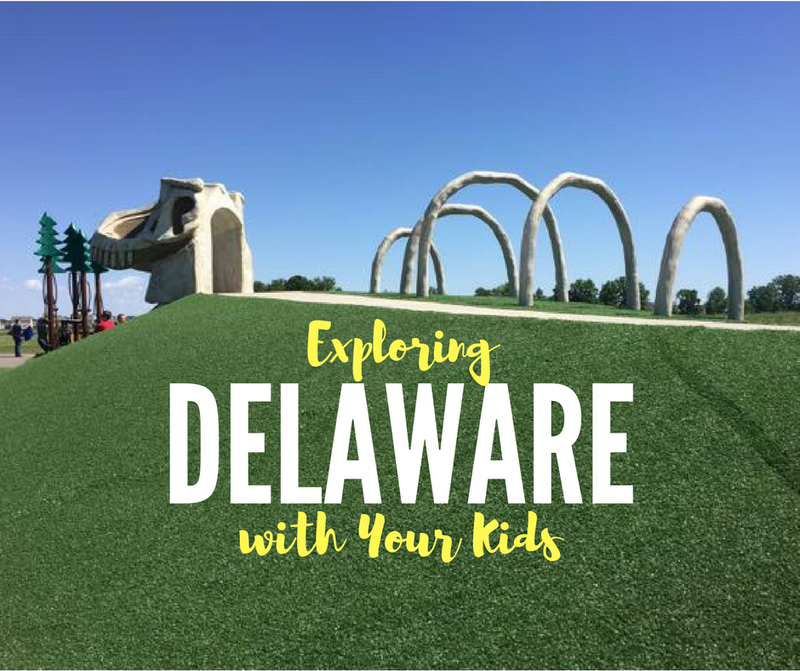 We had an outing planned with some fellow mom-bloggers to the Powell splash pad last week and based on my Delaware experience and the fact that my kids have also recently begun to enjoy running through the sprinkler at home, I decided I better be prepared on this trip! 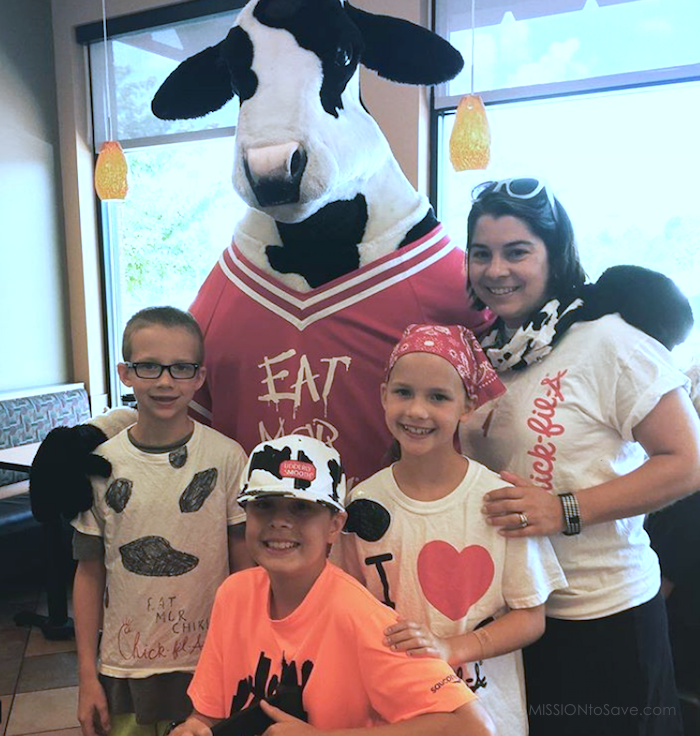 Even though I felt like my 4 bags were packed with everything I could think of and I was even able to produce a band-aid on demand for a friend, I still felt like I had missed a few things. My kids’ sandals were drenched and they had to wear them to our next destination. As a result, the dry socks I was so proud of myself for bringing were quickly just as soaked as the ones they took off. (Ok, side note. My kids insist on wearing socks and sandals through the water . . . most of you probably don’t have this problem! LOL!) Their towels for drying off were drenched too. 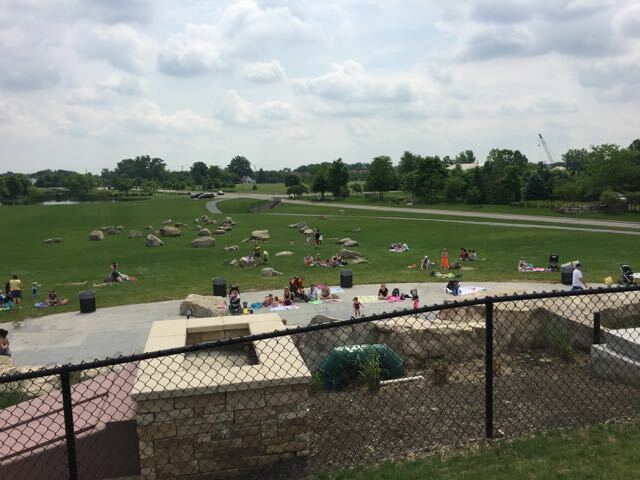 I thought I would use the “wisdom of crowds” to come up with the most complete “What to Pack for the Splash Pad” list as possible! 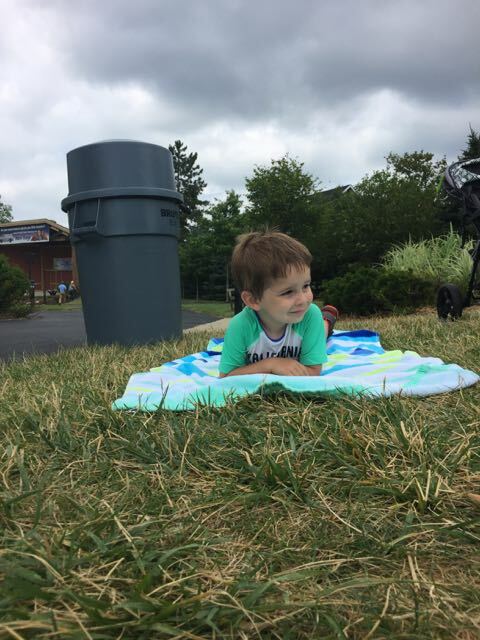 I asked my fellow blogger friends and followers on social media to weigh in on what makes for a successful trip to the splash pad. 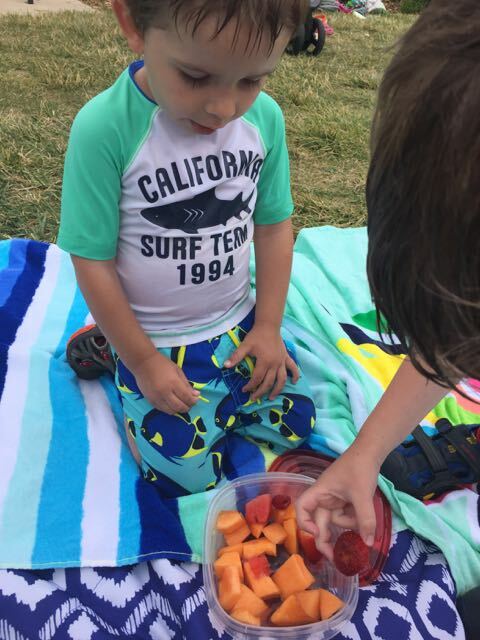 Local Tip: A lot of splash pads are within walking distance to restaurants and snack options, but the splash pad at Veterans Park has a snack shack on site! 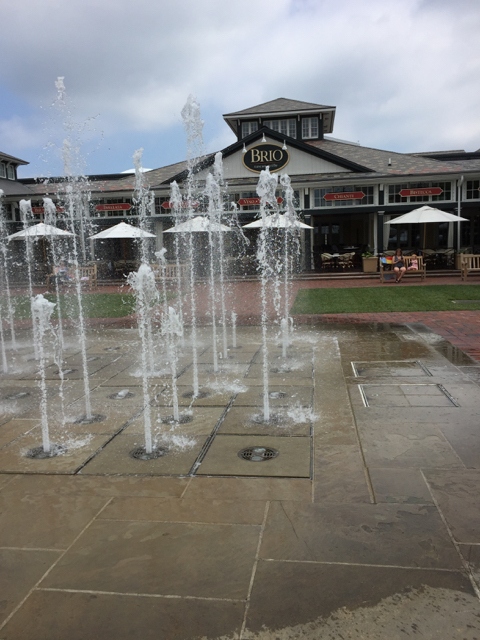 Local Tip: You can borrow a towel at the fountains at Easton Town Center on the weekends in case your shopping trip turns into an unexpected run through the fountains! Local Tip: a tent was specifically recommended for the Bunny Fountains in Dublin because of the large green space and lack of shade. 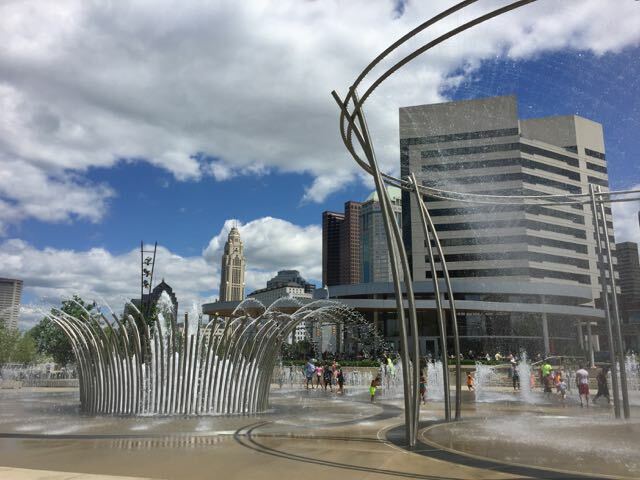 Local Tip: combining Food Truck Food Court at Columbus Commons with a trip to Bicentennial Fountain was recommended for a good outing that includes exercise, lunch and time for drying off! 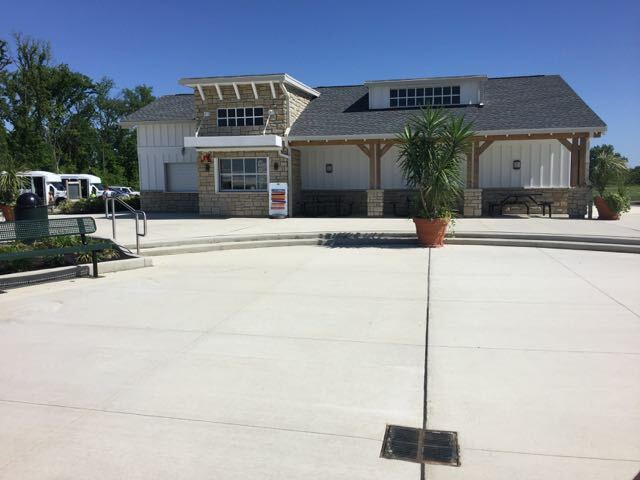 Local Tip: Coffee Connections of Hilliard will deliver coffee to Hilliard’s Station Park Fountains! 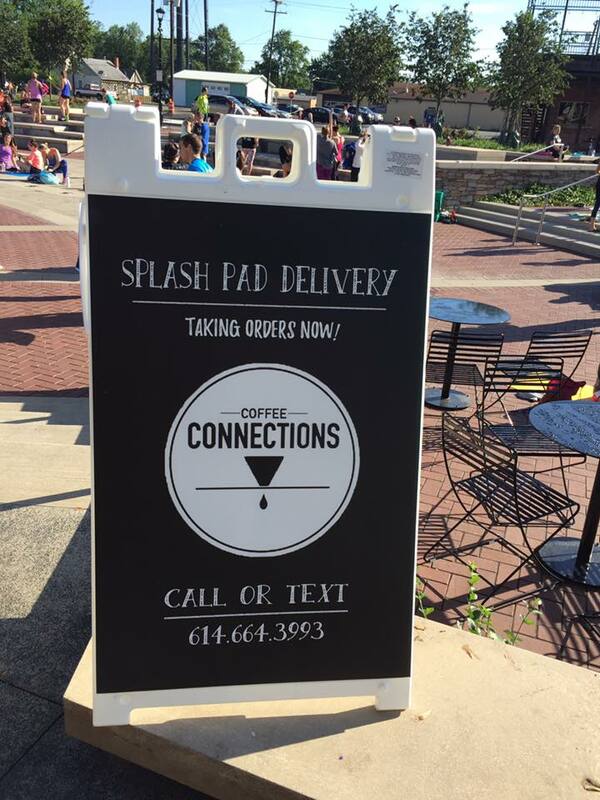 You can call or text your order when the sign is out! This list was compiled with help from Kimmi of Crazy Richards Peanut Butter, Kimberly of Little Fire Brigade, Julie of Borm & Co, Lindsay of Find Where You Fit, Eryn of 614 Mom, Helen of Diaperbag Diaries, Nina of Chaos in Mommyhood, Chelsea of Greatest Little Blessings, @emilyp103, Stacie from Little Adventures Await and Leslie of The Penmanship Lab! What did we miss? 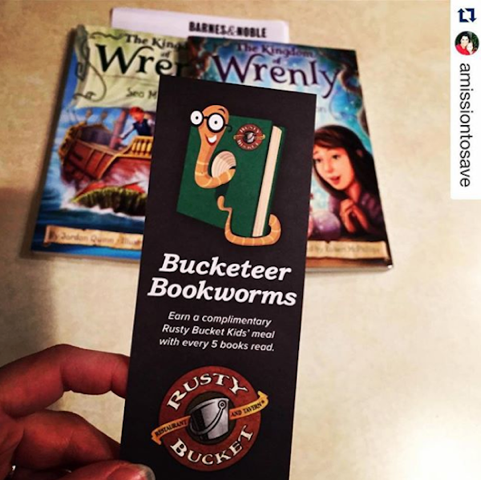 Add your ideas in the comments! 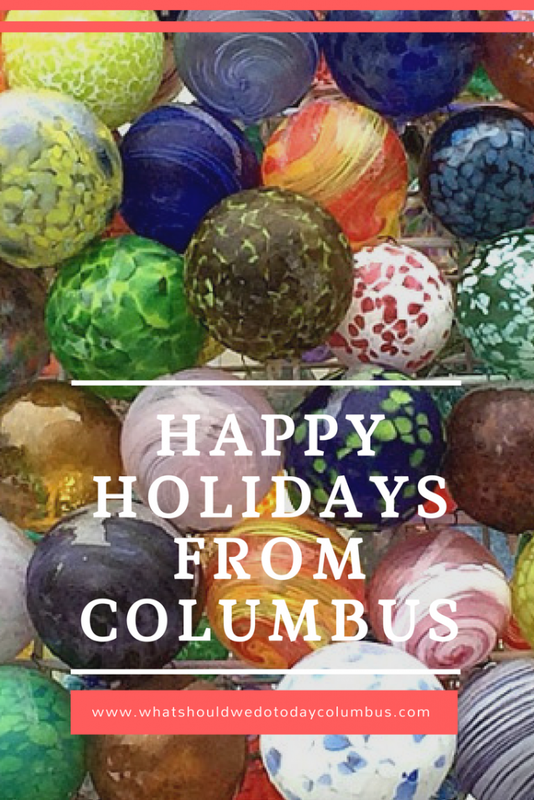 Click on the images below for more local splash pad info!